If you’ve read our bio you’ll know that Liza and I met here in Vancouver a few years ago and became close friends due to the numerous things we have in common. In addition to being two Virgos, expats, fashion-addicts and with full-time jobs, we were also committed to living a healthy lifestyle – when living in Vancouver, the idea of clean eating and consuming local/organic food really grows on you! Since we have both taken the challenge of cooking and eating healthier (and we’re loving it), we decided to create a Healthy Recipe Series here on the blog. We are not the most skilled cooks and we don’t really have much time to practice either, so we will feature mostly quick and easy meals that anyone could prepare! 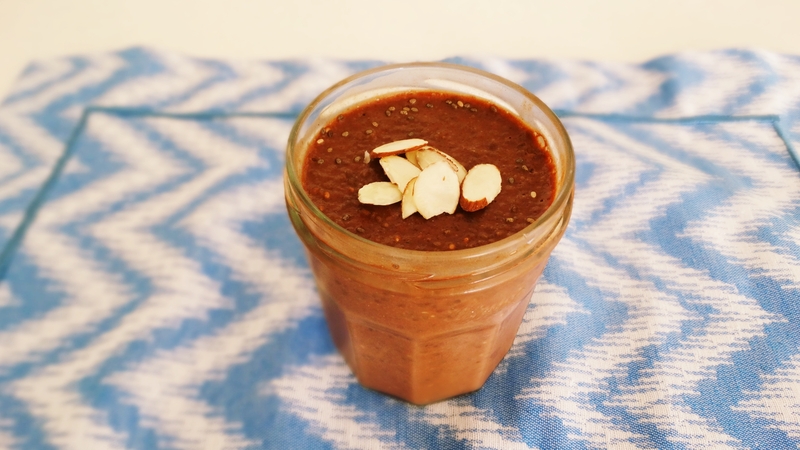 We hope you’re on board to try them out starting with this yummy Raw Almond Chocolate Chia Pudding. Whether you are looking for a quick breakfast option, a pre/post-workout meal or just a healthy dessert option, the Almond Chocolate Chia Pudding is perfect for you. 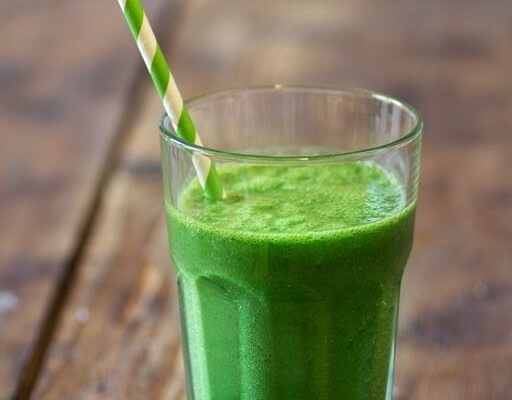 This is a raw recipe full of nutrients and so quick to make. It can be prepared in the night before and will be ready to eat any time on the next day! Blend the bananas with the milk until well combined. Add the chocolate, give some pulses to mix it, add the chia and blend it for a bit longer until you reach a smooth texture. Pour the mix into a bowl or jar (I like small glass jars) and refrigerate for at least 4 hours, or overnight if possible. Serve with sliced almonds, berries or any other topping of your choice.